Ever hear the old saying, “an ounce of prevention is worth a pound of cure?” It’s true. For example, skipping oil changes and tune-ups on our automobile can lead to a whopping repair bill – or even worse. The same is true of your teeth. 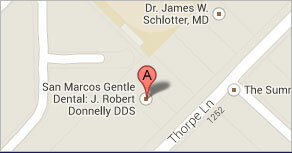 Regular visits to a dentist in San Marcos can save you from big trouble later on. Why is Professional Dental Care So Important? Controlling tooth plaque requires more than daily bushing and flossing (as important as those habits are). Left unattended, plaque can increase your risk of serious healthcare issues. Studies have even found links between dental problems and diseases like cancer and dementia. Like many illnesses, dental problems are easiest to fix when they’re in the early stages. Putting off a visit to the dentist’s office will only add time and cost to your recovery period. Some dental problems remain unnoticed until it’s too late. Take microscopic tooth fractures for example. These can gradually worsen over time, escaping your detection until, one day, CRACK! The tooth breaks inside your mouth. You’re in dire pain and in urgent need of dental care, possibly during a weekend or holiday when dentists are hard to find. Regular visits to the dentist are a bargain when compared to the discomfort caused by tooth and gum problems. Regular dental visits allow your healthcare provider to stay up-to-date on your overall well-being. The office will always have current records, just in case you experience unforeseen circumstances. Sometimes, simple fear of the unknown can make people delay a visit to the dentist. This is especially true for those who only seek dental care when they have toothaches or other chronic conditions. To ease your fears, here’s a look at what you can expect during a routine checkup. Most dental visits begin with a thorough cleaning that takes 30-60 minutes. Either the dentist or a dental hygienist will clean your teeth and gums to remove plaque, tartar, and other substances that escape brushing and flossing. This process is almost always smooth and comfortable. When it’s over, your mouth will feel fresh and clean. After the cleaning is complete, the dentist will examine your teeth, jaw, mouth, and tongue for signs of trouble. This requires only basic handheld dental tools. She will note any areas of concern and discuss them with you during your visit. In some cases, you dentist may choose to X-ray your teeth. Modern X-ray machines use very little radiation, less than you might experience during a weekend of leisurely TV watching. When it’s all over, the office manager will schedule your next appointment. She will also make sure your insurance or healthcare information is current and ask if you have any questions. This process usually only takes a few seconds. Afterwards, you can wish each other a good day and go about your business. You’ll walk away knowing that you’ve taken a key step to ensuring your long-term health, and isn’t that a great feeling? 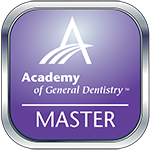 The professionals at San Marcos Gentle Dental pride themselves on providing a positive, patient-centered approach to dental care. They offer general family dentistry as well as specialized cosmetic procedures. They take most forms of insurance and offer financing options. You can reach their office at (512) 772-2082.